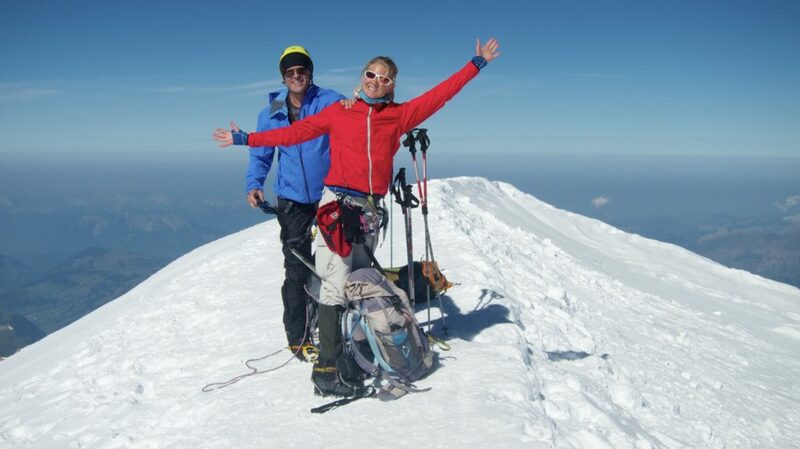 This 5 day Chamonix Mountaineer programme offers you the opportunity to develop technical mountaineering skills whilst climbing some brilliant Chamonix alpine routes. 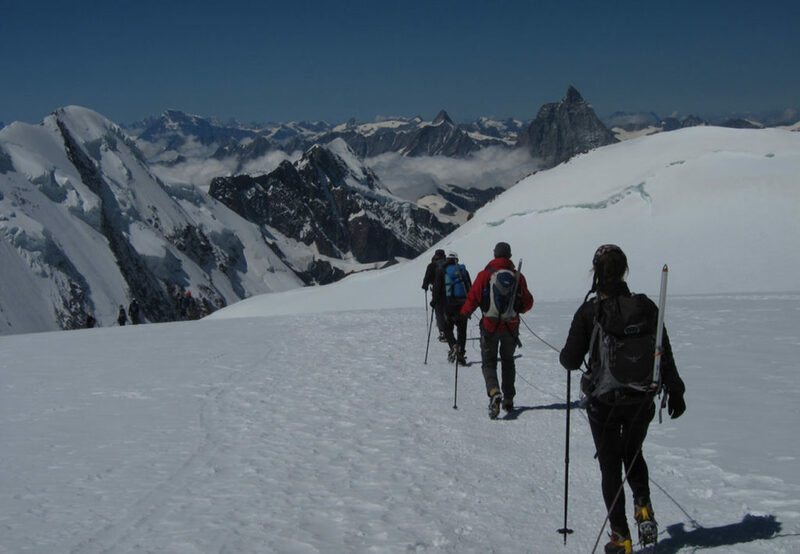 You will develop your movement skills and alpine experience with a view to climbing steeper alpine ascents in future. 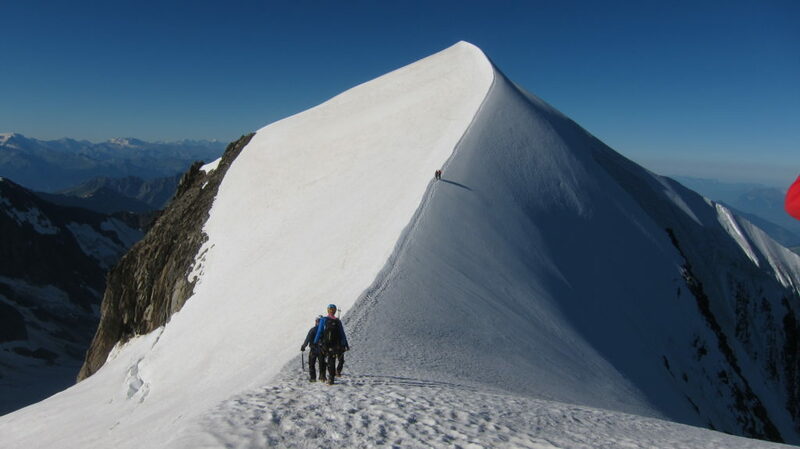 This is a great step towards bridging the technical gap between fine snowy peaks like Gran Paradiso & Mont Blanc with rocky & harder ascents like the Matterhorn and Eiger. Getting to know Federico your guide, equipment check. 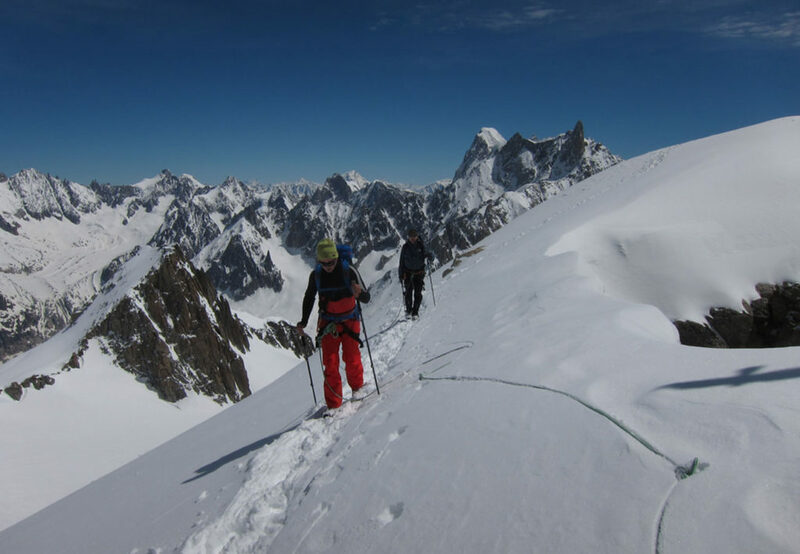 This day gives you the opportunity to really develop your alpine & rock movement skills whilst sampling some of the fine valley or middle mountain rock in the Chamonix Valley. 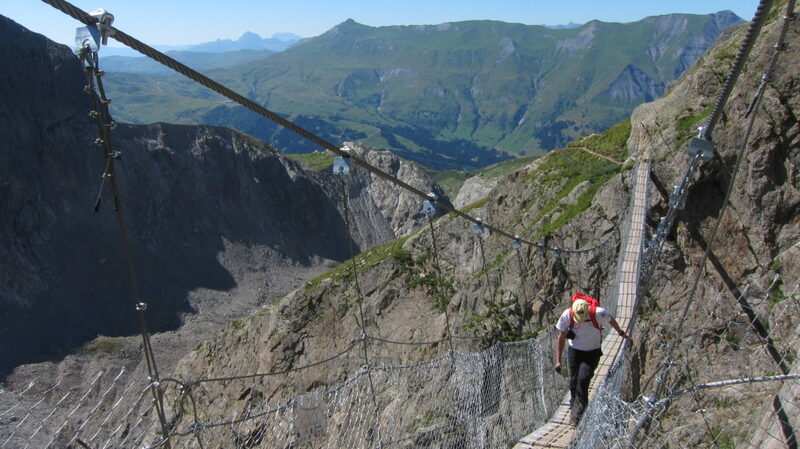 Ridge – climbing day in the mountain rocky terrain of Les Aiguilles Rouges. At just under 3000m altitude this also offers good acclimatisation training before going in to the high alpine zone for the next three days. Magnificent views to Mont Blanc and a drink at the Refuge Lac Blanc can be enjoyed. We access the superb Italian side of the Monte Bianco Massif via the new Skyway lift up to Heilbronner (3462m). 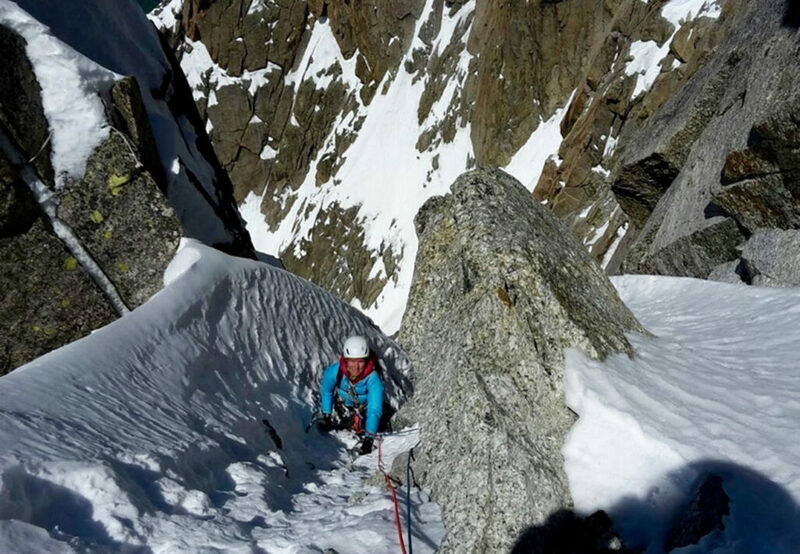 Refresher of using ice axe & crampons on fine rocky/mixed ridge traverses and peaks like the Aiguilles Marbrees, Aiguille de Toule, North Ridge of the Petite Flambeau can be climbed. Lift ascend to Aiguille du Midi (3842m) to access the area of rock, ice and mixed climbs around the col du Midi. This final day gives you the chance to refine skills built during the week and develop more high mountain alpine techniques. Front pointing & basic ice climbing techniques with 1 and possibly 2 ice tools. Selecting appropriate alpine equipment to be light and effective. We would be happy to assist you finding a Hotel in Chamonix that suites you and with renting or buying your perfect equipment.